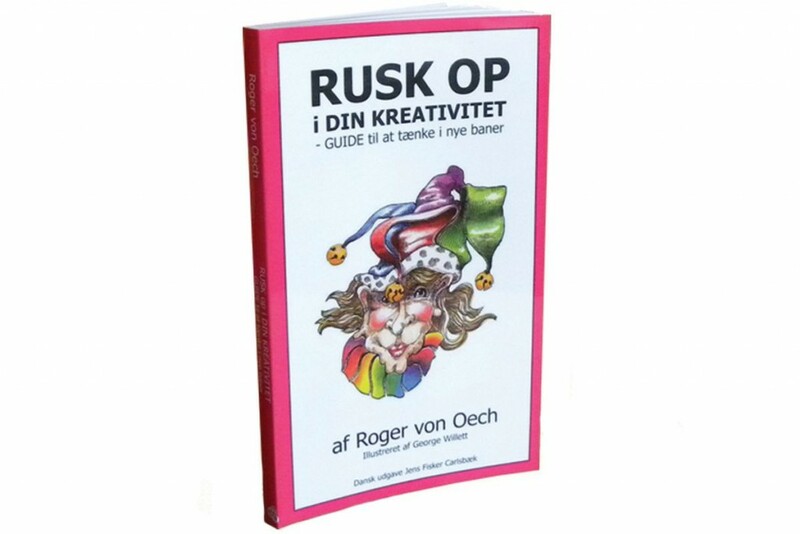 “RUSK op i din kreativitet” is the Danish edition of Roger von Oech’s ”A whack on the side of the head – how to be more creative”. The book is a perfect guide on how to overcome mental blocks and set your imagination free. The book is filled with fun illustrations, provocative puzzles, anecdotes, exercises, metaphors, questions, stories and tips. The guide opens up your mind to creative thinking, and makes you look at things with fresh eyes. Roger von Oech’s book has been praised by educators, business people, scientists, youth leaders and artists. The book has stimulated the creativity of millions of readers worldwide.